Cong has two new papers out so far this year! The first paper describes a new species, Aenictus yangi in the Journal of Hymenoptera Research. 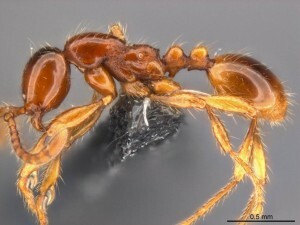 The other paper, in Zookeys, reports new records of ant species encountered in Yunnan, China. Both papers are coming from the field expedition to the Xingshuabanna area that Cong, Benoit Guenard, and Benjamin Blanchard made recently. They found 25 species previously unrecorded in Yunnan in addition to many new species (including, of course, Bannapone). Nice work, Cong!